If you'd like to keep track of us through Facebook please come on over and "like" our page. Gris is at 36 Main Street in Essex, CT. The fun starts as soon as you arrive. Check out the Griswold Inn at www.griswoldinn.com. co-conspirator and bassist Duke York will be joining us for this presentation. The library's website is here. CT. The organization's website is here. co-conspirator and bassist Duke York will be joining us for this presentation. Studio 88's website is here. in Willimantic, CT. The museum's website is here. Oak Road in Oxford, CT. The library's website is here. this program will take place outside, so bring a blanket or folding chair. The Library's website is here. Their facebook page is here. era. The presentation will take place at 32 Main Street South in Bethlehem, CT. The Library's website is here. website is here. Their facebook page is here. The Friends of Fort Trumbull present "Are We There Yet? 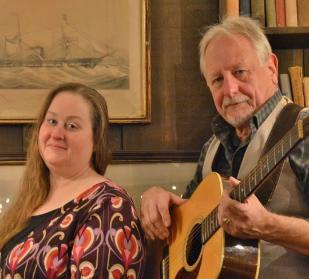 : Songs of American Transportation" at 90 Walbach Street in New London, CT. The organization's website is here. 7 Providence Road (Route 6) in Brooklyn, CT. The society's website is here. Memorial Library, 783 Main Street in South Windsor, CT. The society's website is here. Series" of concerts. The organization's website is here. Our YouTube videos can be found here.